The ultimate look-up for a user is the performance of their rig. No matter how much you want one, you might be a little standoffish when it comes to buying a high performance laptop. Building a PC might be the most cost efficient way to arrive at the performance of your expectation. But what if you’re planning to travel with the rig? Keeping all this in consideration, in no order, we have put forward few of the top 5 best performing laptops from the top Taiwan manufacturers. The Acer Predator 15 is a very powerful 15 inch gaming laptop, that comes packed with GTX1060. This is the third iteration of the Predator 15 series. It’s a good choice for Acer to stick on with Pascal GPUs by Nvidia, because the Pascal Architecture has proved itself to increase around 70% in terms of performance and they claim to be 10x faster than the usual Maxwell chips. The build quality is surprisingly good. The design aesthetics is definitely the most attractive add-on of the G9-593, it casts a metal top panel and plastic everywhere else, but it turns out to be perfectly rigid and can handle some pressure. The device also offers USB 3.0 Ports(x3), a modern USB 3.1 Type-C port with Thunderbolt 3 support and also a HDMI 2.0 port. The major drawback might actually turn up as a good choice! Under-spaced laptops result in noisy GPUs but the bulky overlook of the predator helps the GTX Chip to run quiet and smooth. 141 Pixels per Inch. The device has great viewing angles and the matte panel surface helps to avoid or overcome reflections. That’s where Acer Predator has its upper hand. In spite of a powerful hardware, the rig tends to vary around a safe thermal range in spite of whatever you throw at it and the best part is that, it doesn’t throttle! Thanks to the powerful GPU, the system is now VR-ready! Which means that the device can support Oculus Rift, HTC Vive or any other VR Device. The Acer Predator 15 delivers solid performance and decent battery life for a price range of this sort. It’s a fast and affordable high performance laptop that you can find right now in the market. In the past few months budget gaming notebooks are becoming increasingly popular. In that line-up, Asus decided to throw up a device that can accommodate high performance, under your budget. The Asus ROG Strix GL553VD features Nvidia’s entry-level GTX 1050 GPU which offers you great performance without any lag. It’s the first Asus laptop to come out with a RGB-backlit keyboard. The Strix line also offers you two variants; one with 17.3 inches and the other being a 15.6-inch model. The laptop has some super cool orange accents alongside the matte black. The Strix offers a number of ports, with a good amount of variety. The left side houses two USB Type-A ports, and one USB Type-C Port, a HDMI port, headphone jack, and also an Ethernet port. The keyboard is also multicolor backlit with 4 RGB light support. To my perspective the Lid-Feature isn’t really a good choice as it tends to accidently open and might cause some pressure on the LCD, which might further lead to a perspective damage. Asus STRIX ROG GL553VD laptop is built around a 15.6-inch full HD screen. The display has viewing angles of 178 degree, screened with matte finish. The display offers rich contrast and some vivid colors. To hold an 840:1 contrast on a laptop, is definitely a stunning choice. The display offers an excellent 122 percent of the sRGB color gamut, which adds more realistic feel to the content viewed. The Nividia GTX 1050 GPU offers you great performance with any mid-range settings. While playing some power hungry games, the frames ranged over from 30 to 35FPS on medium mode. The 7th-gen Intel quad-core processor clocked at 2.8GHz, acts as a perfect companion for everyday use. Ultimately the Asus ROG is nothing more than a reasonably priced decent performing laptop. Gigabyte Aero 15: A Dell XPS killer? 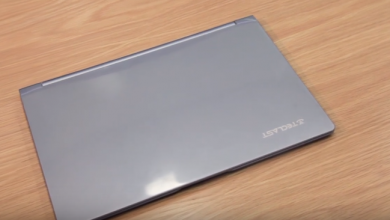 The Aero 15 is probably the best laptop that Gigabyte has ever made. You get to choose a series of variants depending on your region. A 4k version is in the works, which might turn up in the near future. The build quality is a lot better than the previous Gigabyte laptops. Apart from classic black, Gigabyte also offers a subtle green and a medium-bold orange. Adding to the design aesthetics, the Gigabyte logo glows-up by giving it a more stylish look. The keyboard is well layered, though the keystrokes are slightly harsh. The chassis is pretty rigid and is built out of aluminum. 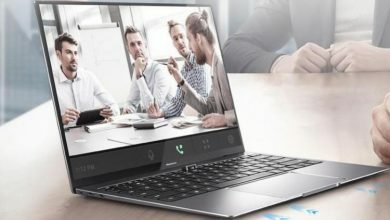 The device is inclined towards content or video creators thus the display is pretty stunning and is one of the most striking aspect of the Gigabyte Aero 15. It looks like a bitter rival to the DELL XPS, by going bezel-less. Even though the display of Gigabyte Aero 15 is FULL HD, it’s still impressive because for this screen size, the 1080p tends to be more than enough. The screen offers a matte finish which tends to avoid reflections and projects sharp colors in the right proportion. The Aero 15 comes with a 2.8GHz 7th gen Core i7 CPU, 16GB of RAM, a 512GB SSD, and an Nvidia GeForce GTX 1060 graphics card. In terms of performance, the Aero 15 is a stellar. The device showed high frame rates with few of the games we tested. 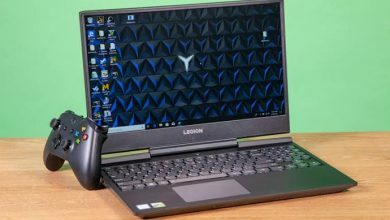 The Aero 15 lasted up to 5.5 hours of gaming and browsing, which is definitely impressive for a laptop with gaming-grade CPU. All in all the Gigabyte Aero 15 is a fantastic machine with amazing features and a beautiful display. Gigabyte unveiled its entry-level Sabre series at CES 2017. It is packed with GeForce GTX 1050 Ti Graphics card. That is capable to play high-end games smoothly at medium settings. The Sabre-15 is the new line-up to its performance friendly budget laptops and a higher-end Sabre Pro 15 SKU which comes with GTX 1060 is also in the pipeline. This might be a common question by many users- “Why no color accent on a gaming laptop?” But I personally feel it’s a perfect choice. The matte black finish with angular design makes the laptop look extremely stylish and minimal. It weighs around 2.5kg, which has become a common aspect of any gaming laptop. The build quality isn’t that great but it’s pretty decent. The device is entirely plastic. Its front is decorated with a simple Gigabyte logo and the back has angled air vents. The top panel tends to take pressure touch, which might cause damage while traveling. The device is completely matte finish, which means finger impressions are pretty visible on this version. Alongside the panel, the ports are plentiful as it acquires Gigabit RJ-45, mDP 1.3, mDP 1.2, HDMI 1.4, USB 3.1 Type-C Gen. 2, USB 3.0(x2), USB 2.0 and a SD reader. The Sabre 15 ships with FULL HD 1080P IPS display. It tends to reproduce 55% of the sRGB color gamut, which means that the machine has relatively narrow range of colors. The display brightness is average, the bezels aren’t too thick and the viewing angles are also pretty good. The device is powered by i7-7700HQ CPU and GTX 1050 with 2GB of VRAM or GTX 1050Ti with 4GB of VRAM. The heat circulation of the GPU is structured really well as it didn’t face any thermal throttling with the games that we tested. The performance is really good for such a price tag. Gigabyte offers some super cool features which adds a special hands-up for this brand. If you’re looking for a slim and affordable gaming laptop, then the Gigabyte Sabre 15 is the best choice. Asus is definitely one of those brands that first pops up when you think of buying a laptop. The Asus ZenBook 3 is the thinnest and lightest laptop that you can currently purchase in the market. It has a spectacular design and looks like a bitter rival to the MacBook series. The Asus Zenbook 3 is definitely the best of the Zenbook series. The generation has turned up and all the good things don’t come cheap and a few compromises has to be made in order to create such a sleek and powerful laptop. Like the device is delivered only with a single USB port which paves way to the polarizing design aspect. But apart from the design aesthetics, I personally feel that a single USB port is a huge drawback. The device comes in three variants- Royal Blue, Rose Gold and Quartz Grey. The device has a pretty well designed cooling system. Below the device there are two grills for air intake and the hot air is blown through a grill behind the hinge. The device is screened with a 12.5-inch FULL HD IPS display. The colors are highly accurate and the brightness is up to mark. The texts are pretty sharp and the contrast is pretty reliable. 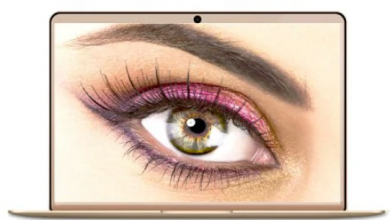 This increased detail on the contents viewed is because of Asus own True2Life Technology, which is an algorithm that tends to add better sharpness and contrast on the contents displayed. For people who dislike blue light emission, the Eye Care mode helps in eliminating a lot of blue light. The display can reproduce up to– 111% of the sRGB color gamut. The Asus Zenbook 3 has one of the fastest performing SSDs that you can currently find on any laptop. The device is packed with Intel i7-7500U Kaby Lake Processor and a extremely fast 512GB PCIe SSD. Alongside, a 16GB LPDDR3 RAM makes this a perfect power packed laptop. The device has personalized algorithm which drops the CPU usage gradually when the device hits a certain thermal threshold. This means the performance is lowered, as you keep gaming or when the temperature hits the threshold. The Asus Zenbook 3 is definitely one of the finest looking laptops currently available in the market. If you are not a power hungry user and want a powerful and a easily portable rig, then the Zenbook 3 is the best choice. These are our picks for the top 5 best performing laptops. Share your thoughts on the comments section below.